It’s the gift-giving season. Don’t forget to shop for your neighbors who are being kind and helpful throughout the year. Show appreciation, get a small gift to wish them a happy holiday. 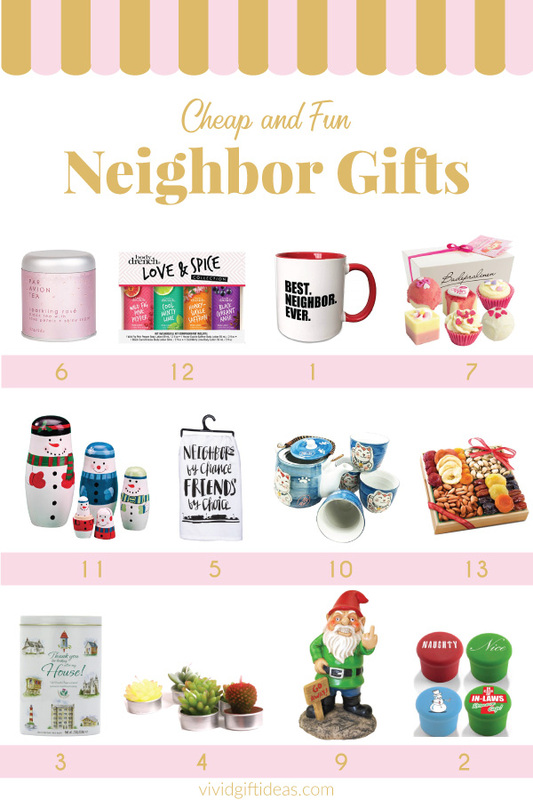 Read here for 14 inexpensive and fun Christmas gifts for neighbors. 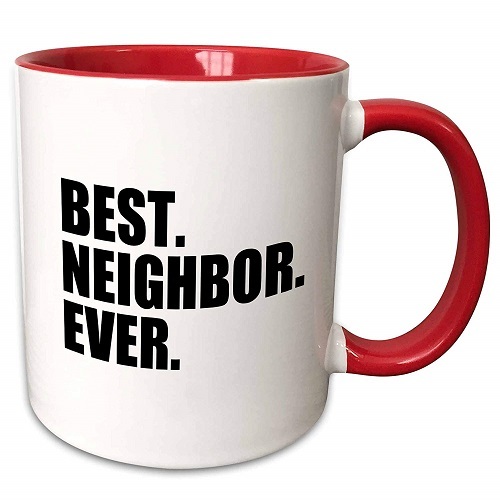 This mug is reserved for the best neighbor ever. Cool and fun. Your neighbor is going to love it! 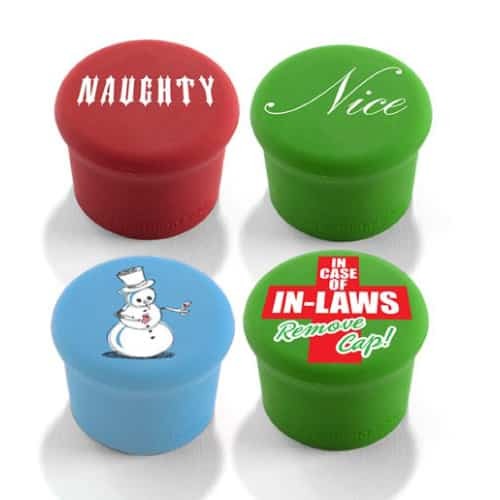 This Christmas, you can also get this set of colorful bottle stoppers for your neighbors. Vibrant colors, eye-catching design. They are made of 100% food grade silicone with an air-tight seal. Cute and functional bottle stoppers to keep drinks fresh longer. Good food is a great Christmas gift for neighbors. 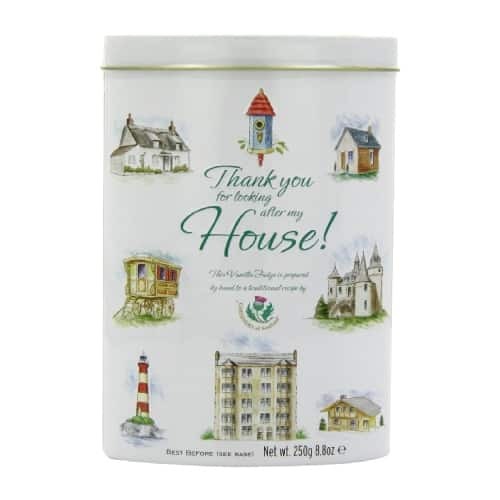 This tin of quality vanilla fudge makes an excellent choice. Handcrafted in Scotland’s highland using their traditional recipe with the finest ingredients. It tastes smooth, creamy and flavorful. 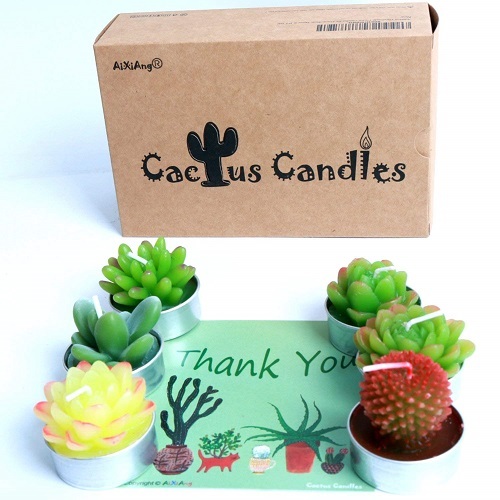 Mini cactus candles that look stylish on any desk. Set of six different types of succulent. Attached with a thank you card for you to write down messages. 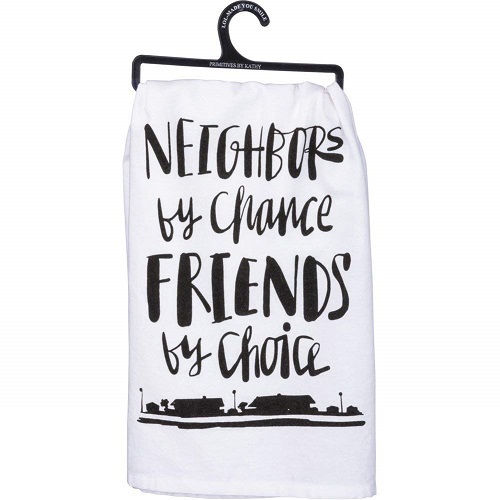 Beautiful tea towel for your wonderful neighbor. It reads “Neighbors By Chance Friends By Choice”. Treat the lady with a delicious tea. 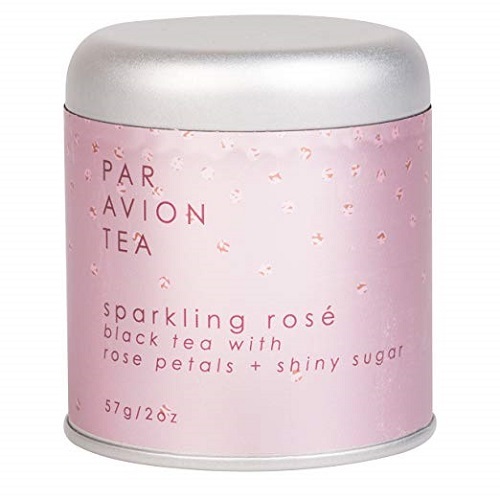 It is an aromatic rose tea blend that steeps into a black tea with sparkling edible silver glitter made from sugar crystals. 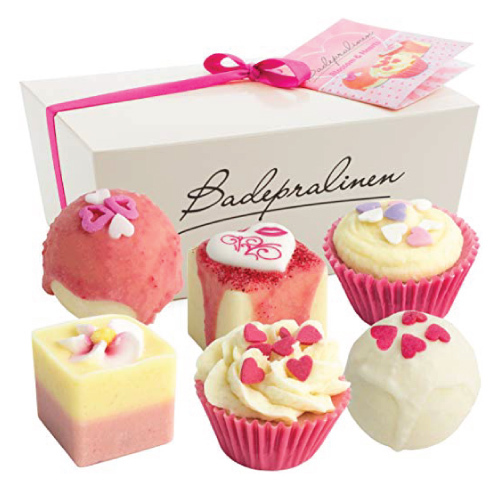 Let her enjoy a relaxing spa treatment at home with this box of six handmade bath bombs. They are made from organic ingredients that are good for the skin. Smell amazing, look really sweet. A nice Christmas treat for women. 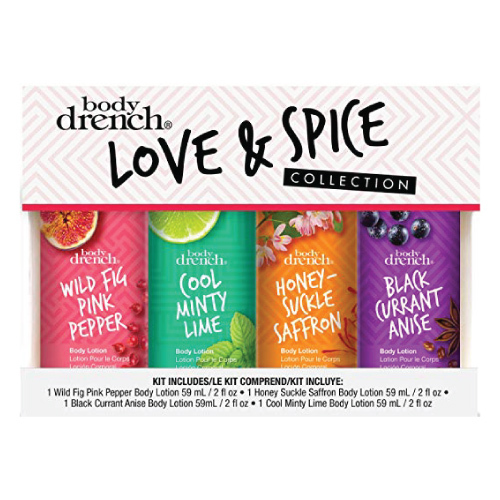 For them to enjoy refreshing scent at home this holiday season. This is an aromatic diffuser of citrusy lemongrass and verbena scent. It has a lovely smell that is long-lasting and uplifting. 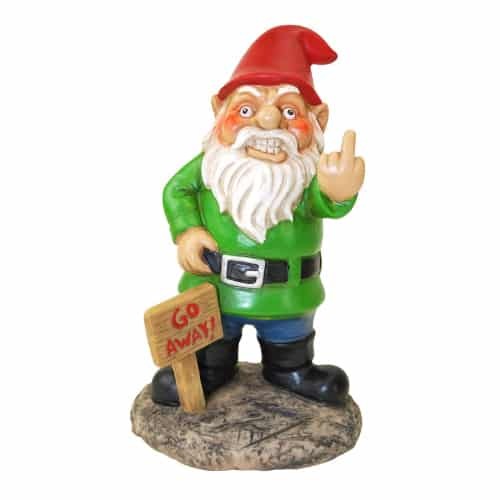 Unique garden decoration with some sense of humor. Bring it over to your neighbor and have a good laugh together. Sending warm wishes and good luck to your neighbors this Christmas. Maneki Neko means lucky cat in Japanese. 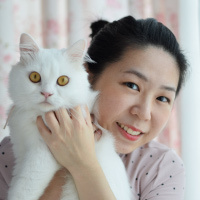 These kitties will definitely make them smile. 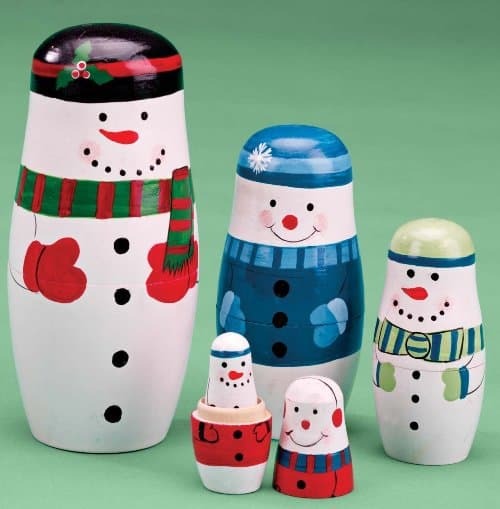 Charming snowmen coming to wish you a merry Christmas. They are finely crafted with wood. These little guys are painted with rich colors and adorable details. Perfect for family with kids. Four luxurious rich lotions to keep your body moisturized and lightly scented. Mini in size great for traveling. You can also them some nice wine, cookies, or candies. 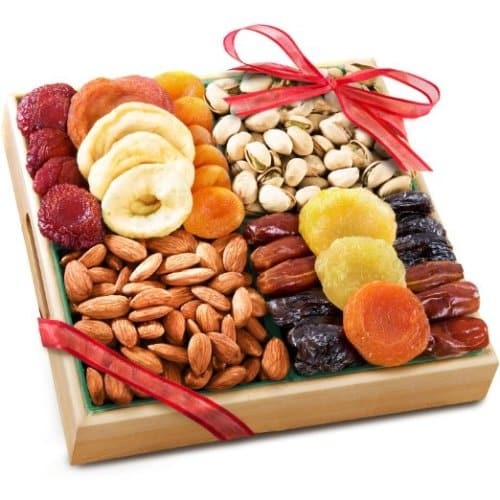 This tray of assorted dried fruit and nut tastes great. Beautifully packed in a wooden tray ready for gifting. It makes a good neighbor gift. 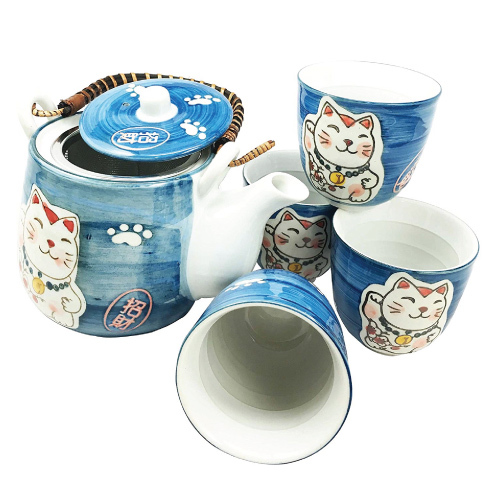 This popular flowering tea set is a fantastic gift for neighbors who love teas. 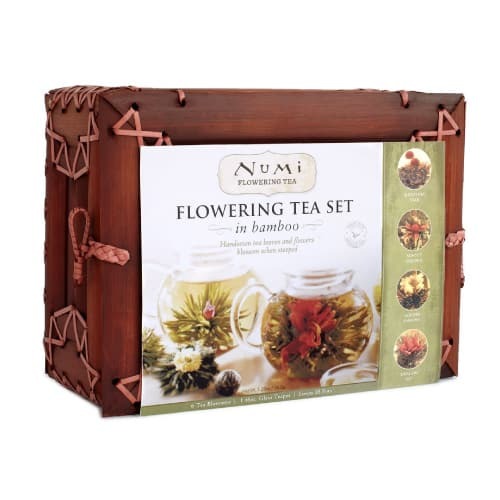 Packed in an attractive bamboo chest, it contains 6 bouquets of tea leaves and a stylish glass teapot. Steep it in hot water and enjoy the blossoming of a gorgeous bouquet and wonderful aroma. That concludes our list of best Christmas gifts for neighbors. Thanks for reading! Save & share to Pinterest!